'The Industrial Revolution' applies to a phase of massive economic, technological, social and cultural change which affected individuals to such an extent that it's often compared to the change from hunter-gathering to farming. The industrial revolution gave huge economic advantages to the world. However, inequalities among people emerged, and the gap between the rich and the poor widened, and also public health issues emerged, these were the most significant social consequences of the first industrial revolution (Circa 1780 - 1850). At its simplest, a mainly agrarian world economy based on manual work was transformed into one of industry and manufacturing by machines. There were many good things about the Industrial Revolution that made it seem like the Golden Age, such as wealth. However, there were also negative things going on. Many people lived in poor conditions and had to work minimum wage for a hard job. Before the first industrial revolution, people in most parts of the world almost entirely depended on agriculture, this however changed as the industrial revolution meant that wealth was now based on money and success in business. This meant that simple economic activities like weaving and spinning could no longer be done at home as wealthy merchants set up huge factories and employed the masses who left their farming roots to find fortunes in the cities. The wages for the factory workers were very low, and they became even poorer than they were before, the middle - class who were managers of factories and supervisors of businesses also looked down upon the poor factory workers and made them work for long hours. The end of feudalism changes economic relationships was one of the factors leading to the industrial revolution since feudalism discouraged unified government and discouraged trade and economic growth. Also, the high population led to the industrial revolution because of less disease and lower infant mortality allowed for a larger industrial workforce. Colonial trade networks affected the industrial revolution since the western countries found a ready market for their goods and this was projected to bring an economic rise in those countries that were involved. Culture of hard work, taking risks and developing ideas had an impact on the industrial revolution since most people had the courage to take risks, and therefore inventions came up and many more ideas that contributed to the industrial revolution and consequentially the rapid urbanization leading to dense, cramped housing and living conditions which afterward led to the rise of communism. 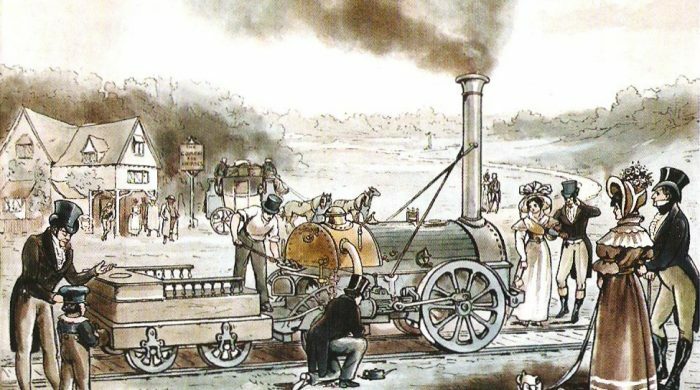 The first industrial revolution was characterized by capitalism which resulted from the outcome of new methods of agricultural production techniques using efficient machines which made people migrate to the cities in search of better livelihood for themselves. Due to the technological developments, there was a huge development of industrial production due to the fast machines that enabled mass production, this also brought about the evolution of the transportation sector. Capitalism brought about huge inequalities among people and quickly fell out of favor with the masses, Karl Marx and Friedrich Engels developed the idea of Communism among poor workers in Russia who had experienced harsh livelihoods through the Tsarist rule. This theory of Communism seemed to guarantee workers with better livelihood with social, political and economic equality; the Russian workers greatly embraced the idea and led to the Tsarist regime being overthrown, and this changed Russia and made the Soviet Union as a whole a Communist State. When people become too consumed with greed as a result of incorrect perception of capitalism; or it has deeply squandered its resources or the society as a whole has wallowed in a pit of wasteful use of resources. In Capitalism, growth depends on individual persons or individual enterprises effort towards prosperity. Here, the property is privately owned, and the focus is on the individual and his / her progress in life, it also emphasizes on the need for freedom to own as much as one can afford. Moreover, when people became too consumed with greed as a result of incorrect perception of capitalism and society as a whole wallowed in a pit of wasteful usage of resources that were present at that time then resources were to be put together for the use of everyone and this led to the rise of communism and therefore protecting the poor from the rich in the society. The theory of communism basically emphasizes on the progress of the community as a whole, and therefore the state owns the land and ensures equal prosperity of the community as a whole regardless of ones potential to achieve more, it has the ideology that people need one another. Doyle, William, (1992), The Old European Order 1660-1800, Oxford University Press. Kreis, Steven, (2003), The Origins Of The Industrial Revolution In England. Lecture 17. Reed, Lawrence (2001), Child Labour and The British Industrial Revolution.